Brief Descriptions of the 16 Personality Types of the MBTI * assessment created by Myers & Briggs. 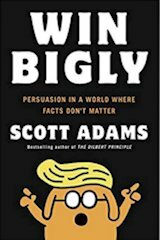 The Internet and print publications are replete with profiles of each of the 16 Personality Types, providing descriptions of the characteristics that mark that particular type. Sometimes people find these descriptions quite spot-on, whereas others may read several characteristics that don’t ring true and wonder if their “Type Indicator” gave them the wrong type. Type Descriptions are generalities so they offer a sense of what are some common characteristics, yet not everything will apply even when the “indicator” of Type is accurate. There are many ways to explore solving this dilemma. One is to look at which of the four preference options you think or feel is borderline. (For example, you may be uncertain if you prefer “Thinking” or “Feeling.”) Looking at one borderline preference produces 2 different possibilities of personality types (example: INTP vs INFP). You’d then review descriptions of these two alternative types (comparing INTP vs INFP type descriptions) to see which seems a more comfortable home. A variation on this method of finding which MBTI Personality Type best fits you is one advocated by consultant Danielle Poirier. She believes for each person one of the four mental processes (Thinking, Feeling, Sensing, or Intuition) plays such a dominant role in forming the cluster of personality that it drives about 80% of a person’s uniqueness. I’ve reproduced Danielle’s brief descriptions of each personality type below. You’ll see she organizes them in pairs according to the dominant mental process and whether this dominant process is primarily introverted or extraverted. 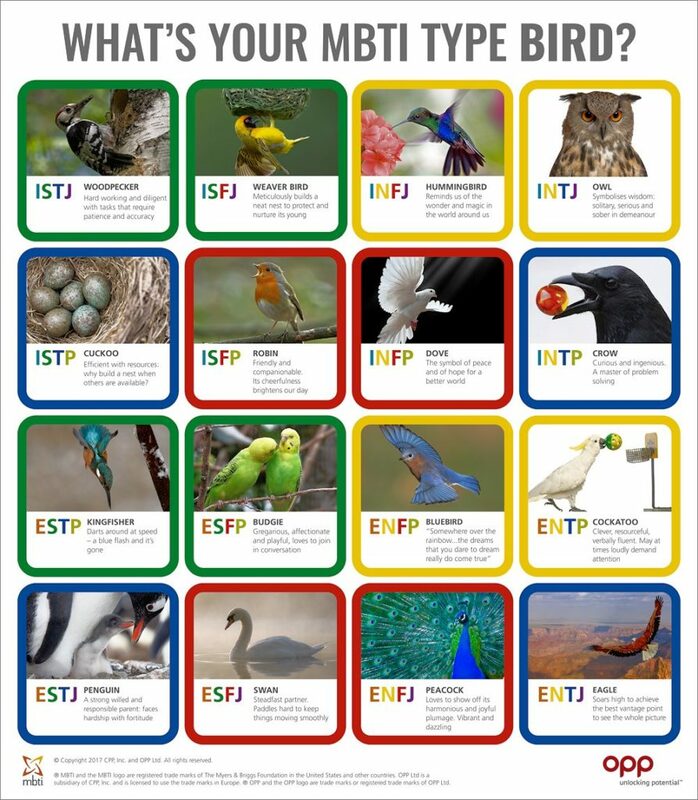 Fun Personality Type Tables – Which Bird is Your Type? 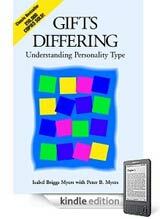 Need more help in determining which MBTI or Myers Briggs Personality Type best fits you? ® MBTI, Myers-Briggs, Meyers Briggs, and Myers-Briggs Type Indicator are registered trademarks or trademarks of the Myers-Briggs Type Indicator Trust in the United States and other countries (aka meyer briggs or myers briggs). While commonly referred to as the Briggs Myers personality test, Myers Briggs Test or the MBTI test, the MBTI ® is not a personality test but a personality inventory or instrument in which there are no right or wrong answers.